Being aware of future work trends that impact you and your organization will help you maintain a relevant and steady presence in the workplace. But how do you prepare for a future we can’t yet define? My favorite ride in Walt Disney World is Toy Story Mania, an interactive 4-D ride that heightens my adrenaline as much as any roller coaster. I am not much of a gamer, but this is the one game I cannot resist. The goal is to blast moving targets in a midway (carnival) style shooting game that includes verbal encouragement and feedback by some of the stars from the animated Toy Story movie. What I like most about the ride is the personal challenge of using my spring action shooter to capture or take down the fast-moving targets. My goal is to improve my score each time, with the extra personal incentive to beat my husband’s score, of course. Via my control, strategy, and eye-hand coordination, the device releases virtual objects such as eggs, softballs, and rings to simulate the experience of carnival games. There is a sense of accomplishment achieved when anticipating movement of objects on the screen. By responding to the moving objects and positive feedback, I win! Much like an agile project and focus on agility, the quick wins sharpen my skills and give me confidence for the next round. Why do I like the Toy Story Mania experience so much? It’s fun, creative, and rewarding, as the system tallies my ever-increasing score. Improvement is always a possibility, which is an incentive to keep my eye on the pace of change. This brings me to an important question about real life and real work. If the object of your desire is in constant motion, how do you maintain your focus and direction to achieve your goals? The Toy Story game is a lot like the workplace, especially as it relates to the accelerated pace of change and the future of work. 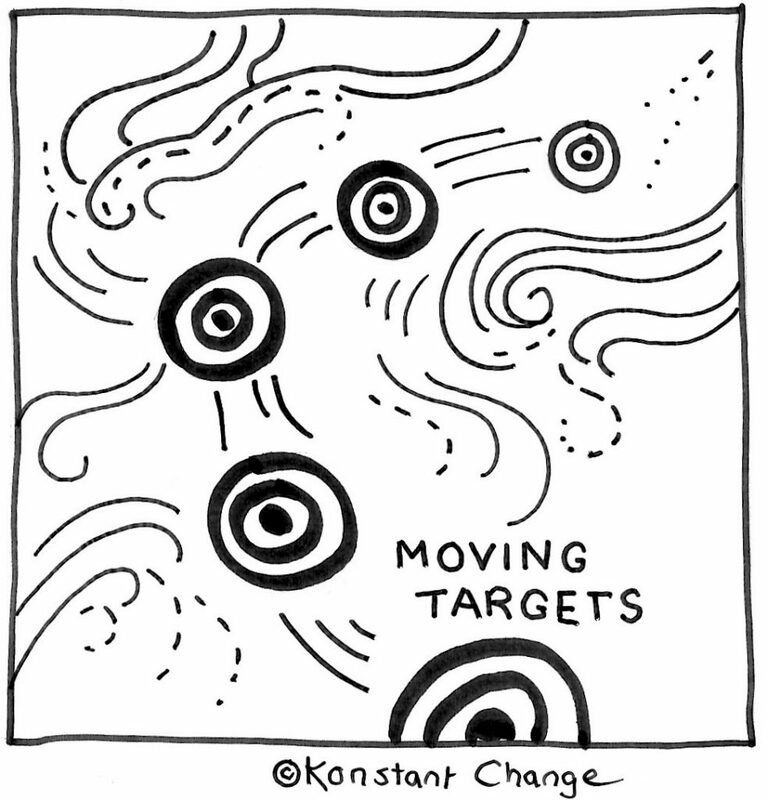 Fast-moving targets and uncertainty is certainly taxing for employers and employees alike. But being successful in the future of work relies on nimble and swift responses to change. This is necessary on the part of individuals and organizations. Let’s explore a few future of work trends and implications for organizations and individuals. This weekend I attended the Project Management Institute Chicago Chapter Career Development Conference. The keynote speaker, Marian Cook, an emerging technology and business leader, has ties to Singularity University and is a blockchain thought leader and strategist. She is also a visionary in preparing for the future of work. As a futurist, she gathers trends and poses questions in similar proportions. She discussed future of work trends and how it is difficult to prepare for a future we can’t yet define. Everything is changing so fast. We are experiencing a foundational transformation in the way we work. Marian reviewed the mega-trends of convergence, changing demographics, mass migration to cities, changing economic power (the US is in decline), and climate change. She then discussed the impact these trends will have on organizations and individuals. Since employers and employees are the critical participants influencing future of work trends, let’s focus on these two sides of the work equation. The era of the exponential organization is here. Growth will rely on disruptive solutions more frequently than corporation based on incremental improvement of existing solutions. We cannot rely on the existence of long standing corporations like Sears. Their recent rapid decline surprised and discouraged many. The new and the nimble will play an important role. Investment in training is critical for the success of the future organization. New knowledge and smart solutions are required to stay in the game. Marion cited Coursera’s partnership with enterprises to design industry/company-specific courses. Some organizations are allocating tuition to enable employees to choose their preferred training. A lifelong learning attitude is required. The gig economy, including contingent workers, consultants, and freelancers are changing the nature of work. The sourcing and management of these workers will require new thinking. Factors like oversight, investments in HR technology, changes in compensation plans, and employee technology updates are examples. Job tenure is shorter. The impact of insurance coverage will need to adapt to these frequent changes. Healthcare coverage will eventually need to be tied to the individual, not just the organization. We are in the middle of this complicated shift now. Generation Alpha, those born between 2010-2025 will have five different careers, 17 different jobs and 15 different houses. This progression has already started with those currently in the workplace, especially millennials. Continuous learning is the norm for staying employed and relevant. This has been on trend for the last ten years, following the global financial crisis of 2009. The gig economy is escalating. Marion refers to the gig economy as individuals using platforms to generate income (Uber drivers, talent exchanges like Upwork, etc.) These platforms increased by 26% this year. This trend is good for corporations and not always good for individuals. The make less money on these platforms. Past consumer habits like applying for mortgages are on the decline as as result of a less stable work history. Jobs in STEM (Science, Technology, Engineering, and Math) are on the uptick. Yet the people who will benefit the most will exhibit soft skills and human empathy. Marion Cook mentioned the movement from “hands” in the industrial economy, to “head” in the technology/information economy to “heart” in the next economy. My Target Disappeared, So What Should I Do? Monitoring the landscape is a solid move as you handle the dynamics of frequent decisions. 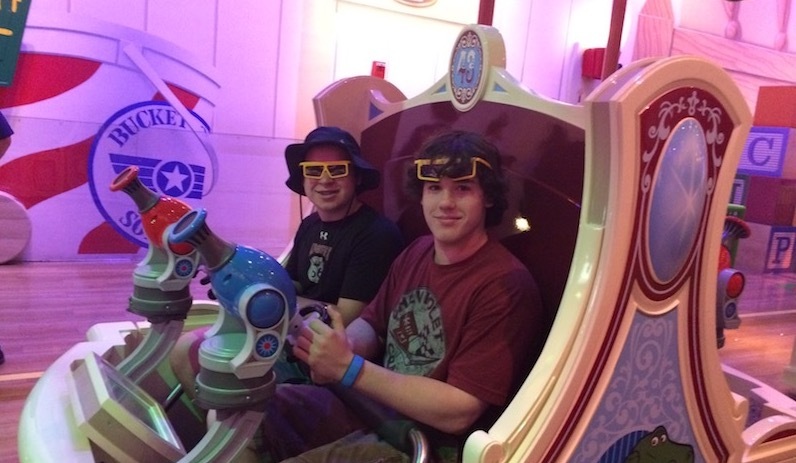 With determination, you may learn to sharpen your focus like the gamers on the Toy Story ride.